Second day of PTC 9 (acurate Antwerp Open) in Belgium, crucible finalist Judd Trump blew off the The Whirlwind Jimmy White to launch in the last 16. 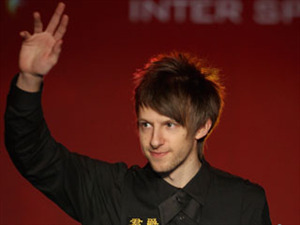 Judd Trump started his first day journey in Antwerp with a 4-1 victory over Martin O'Donnell followed by Craig Steadman. He then faced the legendary Jimmy White in last 32. The Whirlwind once built up a 3-1 head to set back Trump but The Ace came back to force a decider with 90 and 66, eventually won the match 4-3 with runs of 33 and 34. Belgian Bjorn Haneveer is going to retire from the circuit due to financial problems after this event PTC9 at his home country. However, he was unluckily defeated by Jimmy White 2-4 in the first round to end his professional career. Haneveer has been doing commentary for Belgian Eurosport and hopefully he will have a good life after his retirement. Good luck to him! John Higgins also booked his seat in the last 16 by three victories over Matt Couch, Ashley Wright and Ken Doherty in the final 32. Martin Gould recovered to beat Dominic Dale 4-2 from 1-2 down thanks to his breaks of 82, 69 and 50. 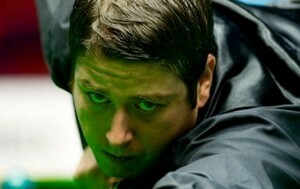 He is going to play Andy Hicks who suprising edged out world number one Mark Selby in last 32. Matthew Stevens defeated ended Mark Davis's hope to move to last 16 after beating Marco Fu in the previous round. 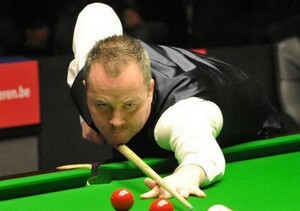 Mike Dunn sent Mark Williams home and went on to beat Jimmy Robertson and Jamie Cope for his place in the last 16. India's Aditya Mehta will return on Sunday morning for last 16 as well.